Of course the word "nook" releases a flood gate of ideas and images. What girl doesn't love a little nook and cranny? 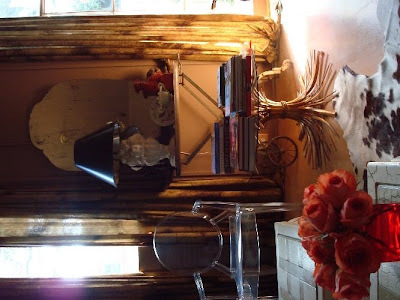 I live in New Orleans in a very old house, and as old houses go, there are always nooks to decorate and inhabit. I've been in this house for over five years, always playing and styling, so I've collected a few images of my ever changing space, featuring some of my favorite nooks. My closet is very special. In old houses none of the bedrooms actually have closets. This was an extra room adjoining the bedroom, so my dear sweet husband turned it into a dressing room and walk in closet for us. We don't have a huge budget, so it's basic wire shelving, and some vintage furniture. This nook is where my vanity is, and the section of the closet that houses our costumes for Carnival season and Mardi Gras. The pooch is our dog Cholo. The bedroom is a place I often hang out in. I plug in the lap top and prop myself up in bed, and turn it into the Vamp command center, a nook where I get alot of work done. 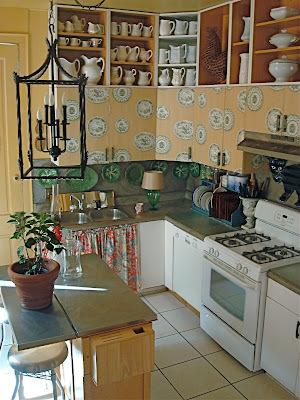 The kitchen has a cozy nook in front of the only fireplace remaining in the house. Here's an earlier version of the living room, with the formula for a good nook: a pretty chair, lots of books, and fresh flowers. This chaise lounge in the living room is the nook of all nooks! 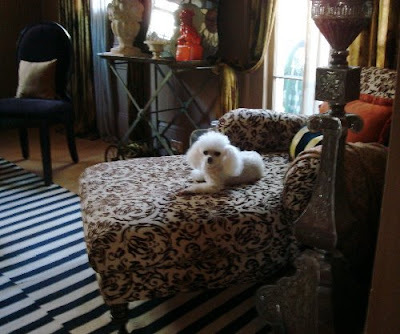 One of Cholo's friends named Candy Lounge was visiting and quite agrees on its excellent nookiness. 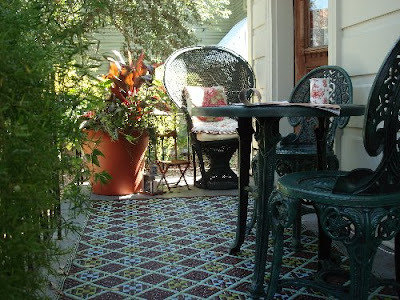 We have a traditional New Orleans front porch at our shotgun house, and there are nooks here too, perfect for enjoying a cool drink, and a chat with neighbors and friends. 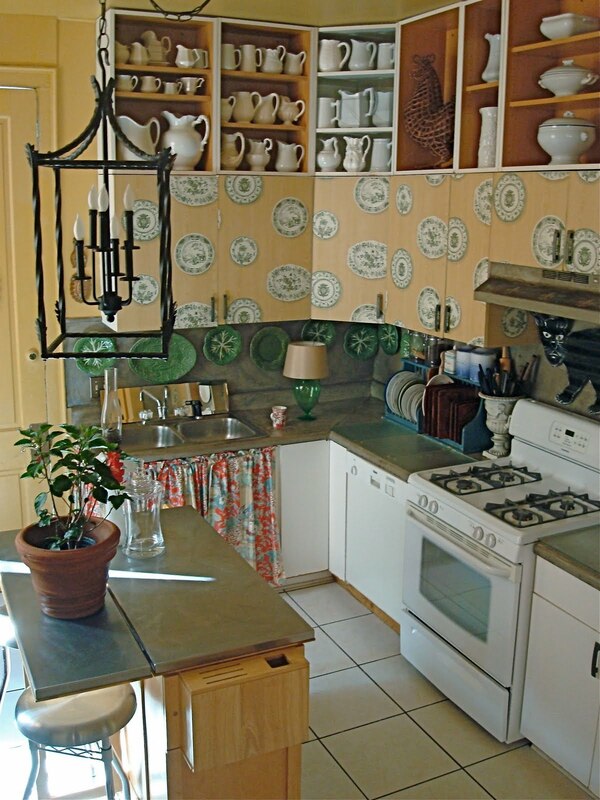 The other side of the kitchen has a nice nook at the island, a good place to enjoy a cup of coffee. My office has a wing chair pulled up to the desk. Another more recent view of the living room: Pillows and throws are essentials for a cozy nook. This is a sneak peek at my latest revamp - I changed my office into a dining room (and will post on it when it's finished). I can already guarantee some good nook here! 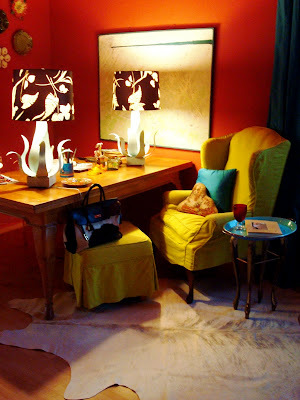 Hope you enjoyed the tour of the nooks at chez Visual Vamp! Thanks for asking me over to your nook Mrs. Limestone! I love the New Orleans front porch of the "shotgun" house. I would love sitting there in the evening! Great 'nooks' - have a very happy Easter, xv. Have so enjoyed seeing all the "nooks" this week. A wonderful line up of very talented ladies. So many wonderful nooks in one house! I love the way Valorie decorates. man i LOVE that vamp! gorgeous spaces. i am blown away! So much eye candy to be had! If this were my home, I'd have trouble ever leaving it! Wow! 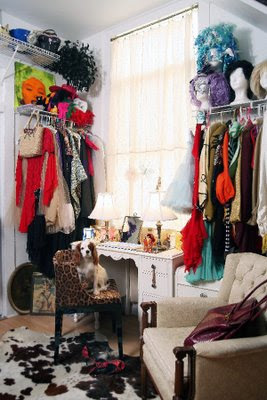 Lovely spaces-- and I'm especially in love with your wardrobe room. Fabulous! Thanks so much for looking in at my nooks! And thank you Mrs. Limestone for being such a wonderful, gracious, and fun hostess with the mostess! Well....Valorie is one of my favorite Gals all around. 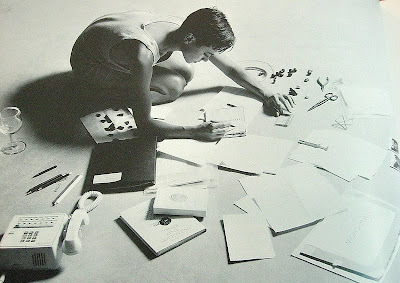 She in such an interesting woman and has accomplished much in her life, she is quite humble and calls herself a 'shop girl'. She is one of the most creative peeps I know. Thanks Mrs. B for hosting a fun party! What a beautiful home! Love everything about it. 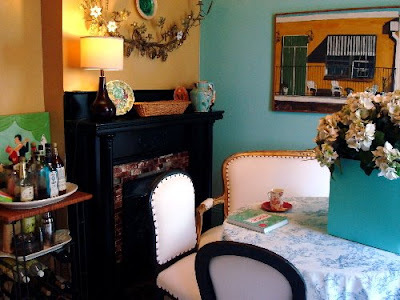 Her house has it all: charm, smarts and colour! Lovin' these nooks! Lovin every nook you have featured. Nookalicious. Okay. I'll stop. Nooks are what a home is all about! Nooks are emotional!! LOVE these nooks!! valorie you give good nook. Quintessentially NOLA! I am so in love. I loved getting to see more of Valorie's pad in New Orleans. I love her style and could move right in! I really enjoyed this post! Inspired me to create more nooks in my home! I just found you and I'm thrilled! I love all your nooks, can't wait to follow you!